Delegates are able to choose from a range of accommodation selected by Routes’ official hotel provider HotelMap. 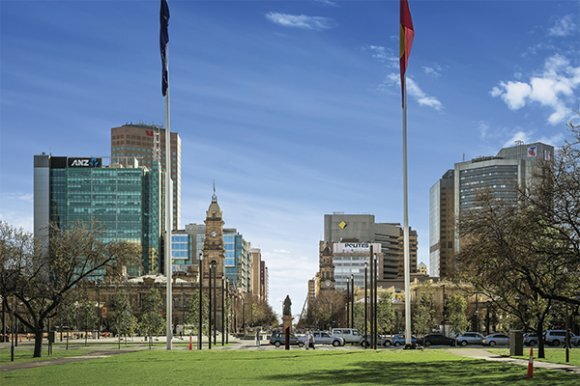 As the destination for World Routes 2019, Adelaide is a contemporary and vibrant city, surrounded by rolling hills, beautiful beaches and world-renowned wine regions. The event offers attendees the ideal opportunity to maximise their stay in Adelaide, with a selection of accommodation available at preferential rates exclusively for delegates. Boasting central locations and a wide variety of amenities, the World Routes 2019 official hotels are available to book directly through Routesonline. Choose from over nine hotels, including luxury accommodation at the Playford Adelaide Hotel, the Pullman Adelaide, the Mayfair Hotel and the Stamford. The only official hotel provider for Routes events, HotelMap’s innovative booking tool allows delegates to effectively compare and sort hotels by distance, price and TripAdvisor rating. Visit our dedicated HotelMap booking page to discover the full range of hotels available for World Routes 2019 delegates in Adelaide, or visit the event web pages to find out more about the 25th World Route Development Forum.